Southcentral Foundation (SCF) is an Alaska Native nonprofit 501c(3) health care system, which provides health care and related services to Alaska Native and American Indian people. SCF operates the Nuka System of Care, a customer-driven, relationship-based health care system. SCF provides a wide range of programs to address the physical, mental, emotional, and spiritual wellness for about 65,000 Alaska Native and American Indian people. 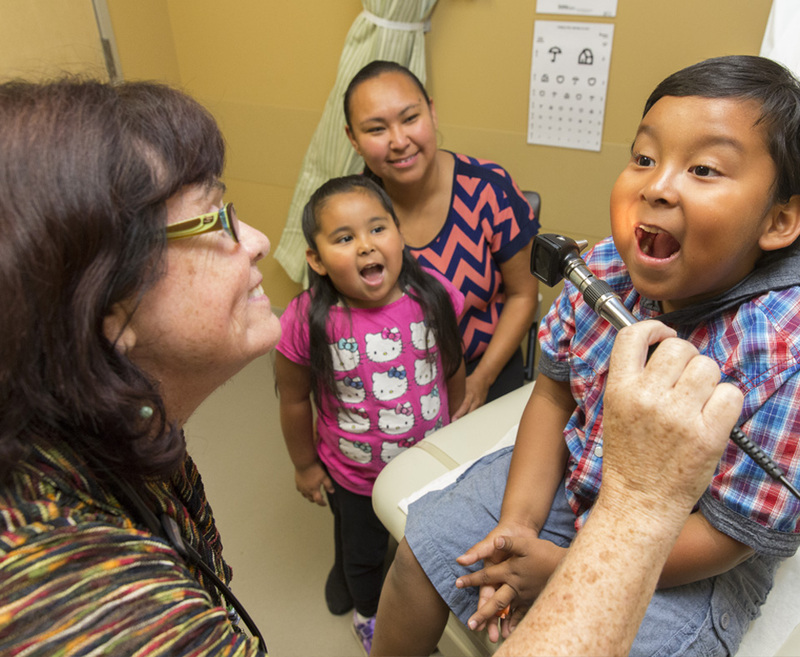 SCF collaborates with its partner Alaska Native Tribal Health Consortium to ensure a seamless continuum of care by providing consultation and specialty services at the Alaska Native Medical Center. SCF uses a wide range of delivery mechanisms to provide health care service offerings, including ambulatory office visits, home visits, learning circles, email and telephone visits, health information and education, outpatient services, behavioral services, and day and residential treatment. Clinical teams regularly travel to rural villages to deliver family medicine, dentistry, pediatrics, obstetrics/gynecology (OB/GYN), audiology, and behavioral services. Southcentral Foundation, with 33 facilities in and around Anchorage, also provides care to 55 remote village sites, many of which are accessible only by plane. It employs 2,200 employees, of whom 54 percent are Alaska Native or American Indian people. This is the second Baldrige Award for Southcentral Foundation. The health care system was honored in the same category in 2011. SCF’s unique health care delivery system, the Nuka System of Care, brings together organizational strategies and processes; medical, behavioral, dental, and traditional practices; and an infrastructure that supports wellness. Multiple indicators of performance show SCF exceeding 90th percentile rankings in the Healthcare Effectiveness Data and Information Set (HEDIS), a widely used industry performance measures maintained by the National Committee for Quality Assurance. Since its founding, SCF has sustained a dominant market position, representing nearly 100 percent of the Alaska Native and American Indian population in its 107,400-square-mile service area. Demonstrating that SCF values its commitment to its customer-owners, the organization has adopted optimized access as one of its operational principles, resulting in 70 percent of behavioral health patients receiving same-day consultations. SCF’s Nuka System of Care has distinguished itself as one of the nation’s leading health care systems. SCF regularly hosts visitors from around the world who come to learn and seek help in reforming their own health care systems. For demonstrating excellence, the organization has received numerous honors, including the 2016 Health Equity Award from the Alaska Public Health Association for the positive impact on families of SCF’s Nutaqsiivik Nurse-Family Partnership; three-year national accreditation starting in 2015 from the Commission on Accreditation of Rehabilitation Facilities (CARF) for all of SCF’s outpatient behavioral health programs; and the 2014 Spirit of Tomorrow Award from the Anchorage School District. Multiple performance indicators show that SCF exceeds HEDIS 90th percentile rankings. These include annual diabetes care measures (HbA1C, diabetes care: LDL<100 mg/dl), cardiovascular LDL (a measure for high cholesterol), cervical cancer screening, breast cancer screening, emergency room visits per 1,000 members, and outpatient visits per 1,000 members. Since its founding, SCF has sustained a dominant market position, representing nearly 100 percent of the Alaska Native and American Indian population in its 107,400-square mile service area. SCF uses data and information from several customer-owner listening posts to identify changing health care needs and to look for areas of opportunity to become more focused on customer-owners. Results show that 76 percent of customer-owners would recommend SCF, exceeding the top-decile national benchmark. In addition, customer-owner satisfaction—overall and within SCF’s medical, dental, behavioral, and Executive and Tribal Services patient segments—exceeds the national 90th percentile benchmark. SCF’s Nuka System of Care takes a population-based approach to improving family and community well-being that extends beyond the coordination of care services. For example, programs to eliminate disparities, such as SCF’s Family Wellness Warrior Initiative, address domestic violence abuse, child abuse, and child neglect through education, training, and community engagement. SCF demonstrates its ongoing focus on giving through the Employee and Community Assistance Fund, which increased from $17,149.00 in 2013 to $23,028.00 in 2016. SCF’s total revenue has steadily increased from $215 million in fiscal year (FY) 2012 to $334 million in FY2016. Days cash on hand and the steady increase in total revenue exceed Moody’s “Aa” rating for the last four years, with the last three years at or exceeding Moody’s “Aaa” minimum. In addition, overhead is tracked on a balanced scorecard related to operational efficiency and sound fiscal management. SCF has successfully kept its overhead expenses below its established goal of 20 percent for the past five years. To improve health care services and performance, SCF starts at the department level to assess action plans using performance data and broad input from customer-owners. For example, the Dena A. Coy residential center, which serves pregnant, parenting, and non-parenting women who are experiencing problems related to addiction, improved its retention of residents after 48–72 hours by 18 percent through the use of a performance improvement process. Interdisciplinary committees provide opportunities for sharing improvements and lessons learned across the organization, leading to continuing improvement of services. Overall staff turnover has decreased from 14.5 percent in 2013 to 12.1 percent in 2016. Turnover rates during the same period for Alaska Native and American Indian employees (who make up 53 percent of the SCF workforce) decreased from 15.7 to 13.5 percent. Traditional and nontraditional benefits such as a wellness hour, financial support for academic pursuits, academic leave, and open communication are strategies to recruit and retain the workforce. Behavioral-based and team interviewing help ensure a good fit for new hires within the organization. SCF has a systematic, integrated approach to organizing and managing the clinical workforce to accomplish the organization’s work. Work is accomplished by assigning customer-owners to self-selected, multidisciplinary Integrated Care Teams. Workforce competencies align with the organization’s core competencies, which include innovation; the organizational competencies are integrated into interviews, job descriptions, and personal development plans, as well as into annual plans for workforce learning and development. SCF’s senior leaders are responsible for leading the Annual Learning Event. Staff members have consistently rated their satisfaction with the event at 80–90 percent, and their feedback is used in planning efforts for each subsequent learning event. SCF’s approach to strategic planning includes the participation of all staff members. Each department participates in a strengths–weaknesses–opportunities–threats (SWOT) analysis. Each employee develops and is held accountable for a personal development plan aligned to the corporate initiatives objectives and goals. SCF has various methods for engaging customer-owners in the strategic planning cycle, including discussing future priorities with the community through its annual gathering, its elders’ council, and planning sessions with village communities. Customer‑owners participate in operating boards and advisory committees, which meet periodically with the senior leadership team to provide feedback to the organization.